Just a week before unveiling their first electric SUV, the e-tron quattro, Audi kicks-offs a wide reaching offer. 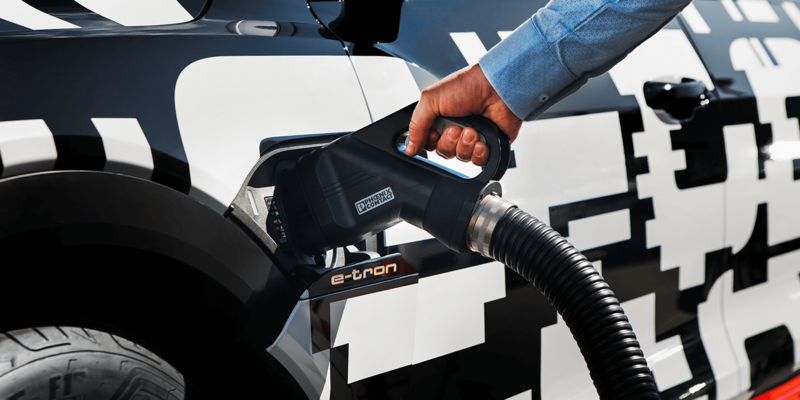 The ‘e-tron Charging Service’ enables access to 72,000 charging points by 220 providers in Europe, all with one card or via app. We asked Audi all the details. 72,000 charging points in 16 European markets – the numbers or service level sounds impressive, especially in light of the e-tron marking the beginning of the electrified era at Audi. At the same time, it poses the question of access, particularly when reading that these charge points are offered by no less than 220 different providers. What is more, a further eight markets in Eastern Europe are due to follow in a few months’ time. In order to cut through the mounting “cable salad” as we would say in German and not to speak of billing, Audi promises electric car drivers access to charging and billing with one single card or else the myAudi app. The latter likely builds on the Porsche app. Naturally, Audi clients will get access to the high power charging network of IONITY which enables charging powers of up to 350 kW. Moreover, the e-tron supports all other kinds of charge powers, be it AC or DC, 11 kW or 150 kW. The single charge card is only the beginning though and had been announced here before. Audi says that from 2019, the plug & charge function will be introduced. It enables the Audi e-tron to authenticate itself at charging stations via cryptographic procedures. All Audi e-tron models rolling off the assembly line from mid-2019 will have this as a standard. Still, we asked which providers they are working with for now as QR codes and apps obviously bring partners such as PlugSurfing (who also work with Ionity) or NewMotion to mind. An Audi spokesperson told electrive that their main partner for the platform is Digital Charging Solutions (DCS) though. In addition, the e-tron offer is integrated into roaming platforms such as hubject or e-clearing. Our source also said that the cooperation with DCS enables them to offer “transparent pricing with attractive conditions” to future e-tron drivers. Billing is handled under a single contract. For home charging, Audi offers their standard compact mobile charging system that can be used with either a 230 volt household outlet or a 400 volt three-phase outlet. The optional connect charging system doubles the charging power to 22 kW. The second on-board charger required for this will be available as an option for the Audi electric cars at some point in 2019.